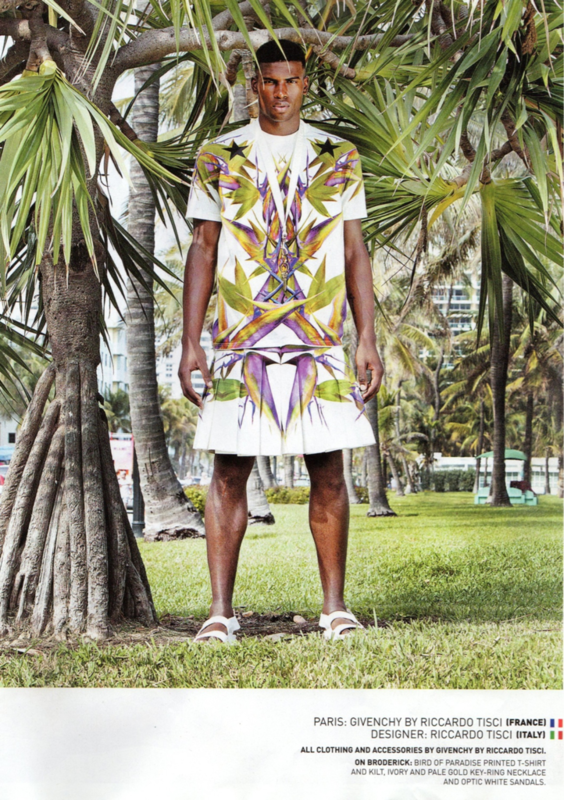 Admittedly, at times it can be most difficult taking the Chicago fashion community serious. It has become common place for almost every person with a cute face to label themselves a model. Every make-up counter clerk is deemed a celebrity make-up artist, and helping select your neighbor’s prom dress garners you the ability to call yourself a stylist. In this environment, it’s refreshing to know that there are indeed some individuals in the city whom are industry creditable and actually working towards enhancing our local fashion market. Blake Martin is no stranger to this column. I have watched as Blake have exemplified a stead-fast resiliency and due-diligence to reach his goal of being a true vested stake-holder in the local fashion industry and abroad. Blake’s latest endeavor was executive producing ICandy3- Spontaneous Insanity. 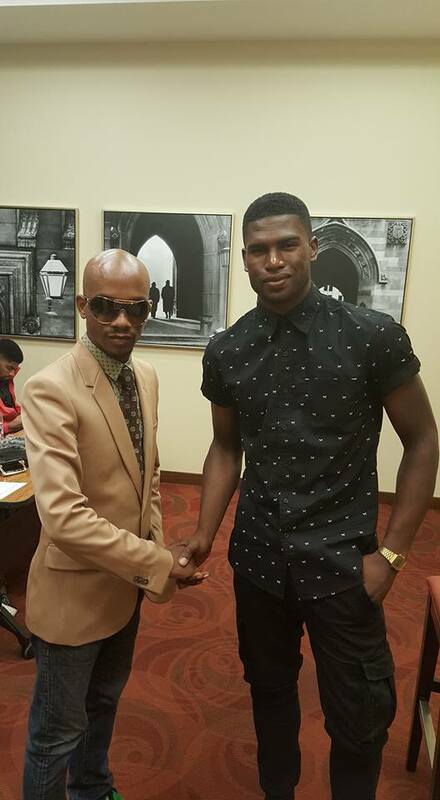 This event entailed a Friday night runway show, followed by a Saturday morning modeling/branding seminar with top male model Broderick Hunter as keynote speaker. Everyone with a working knowledge of the industry knows that Broderick is indeed the real thing. As one of the top and most visible black male models, at times he has been called “lil Tyson.” Broderick’s acclaim soared to new levels after debuting as one of the faces of Polo. Broderick has become a mainstay on the runways of some of Europe’s most esteemed menswear designers. He’s also become a highly visible face in music videos. I was honored and elated to have the opportunity to witness Blake’s work and garner some of the knowledge Broderick has gained. We sat down for a chat following the seminar and this is what he had to say. 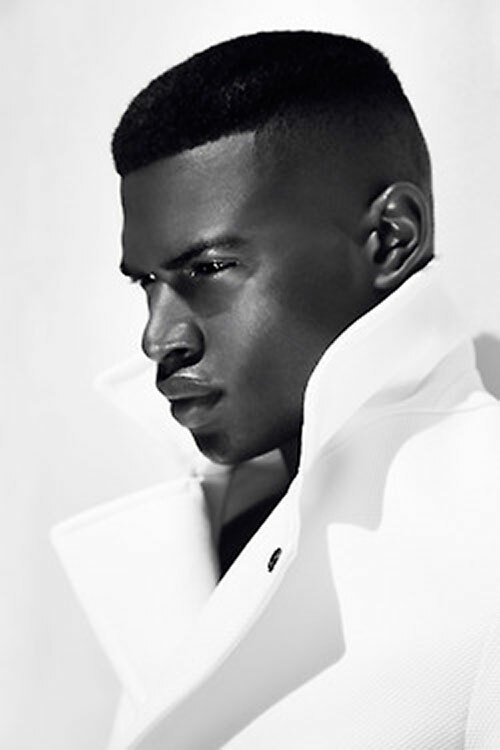 FL- Fundamentally, what has been the most difficult obstacle to overcome as a successful black male model? Broderick- Honestly, getting past the madness. When I say the madness, I mean the rejection and the constant no’s. I still consistently get rejected a lot in this business. Even on the level I’m on right now. But getting to the point of understanding its ok to be rejected has made me a lot stronger and allowed me to work towards my new yes’s. Definitely the rejection has been the toughest to overcome but I’m happy to say I’ve overcome them. 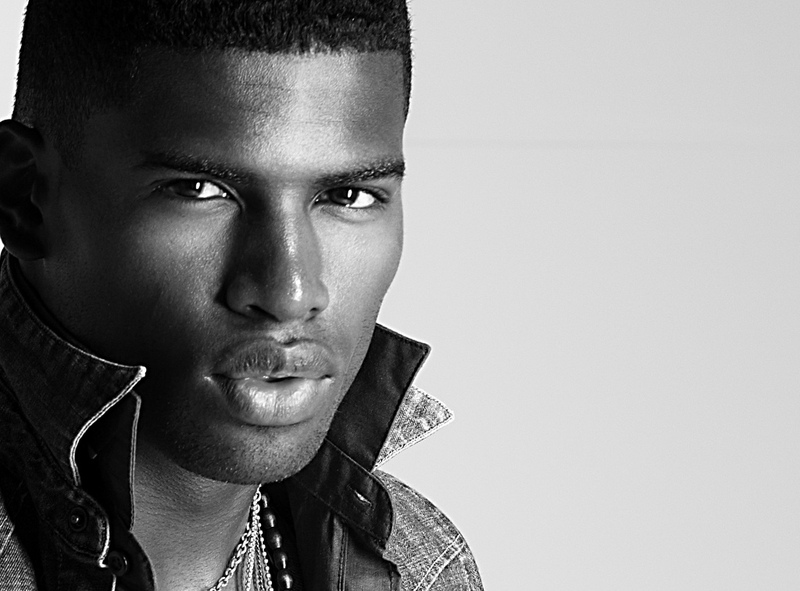 FL-Who is the real Broderick Hunter? Describe yourself using 5 adjectives. Broderick- Five adjectives….I would say funny, weird, shy, goofy, loving and a people pleaser. I’m just really chill. I don’t live for the constant lime light or attention. I am shy. It’s really weird. Unfortunately I love what I do more than who I really am. Even though I know that I’m shy, when I get in these rooms and on the runway I love it so much that I kinda just blank it out and do what I do. FL- With your success you’ve embraced a mindset to utilize your platform to give back and mentor. What cause is closest to you and why? Broderick- I would have to say my church. I go to Abundantly Living Family church and run a mentoring program there. That cause is so important to me because I see so many kids that don’t really have a lot of guidance. They have no one to tell them “it’s o.k. You’re going thru this and we’ve been thru this as well. Here is how you navigate through it.” They think they’re alone. So with this program we’re able to talk to them and let them know its o.k. you’re going thru the vessitudes of life. Whether it’s a loss of a parent or not doing so well in school, we’ve all been thru this, so we’re truly able to guide them and allow them to open up to us. We encourage them to open their minds and fulfill their true potential. 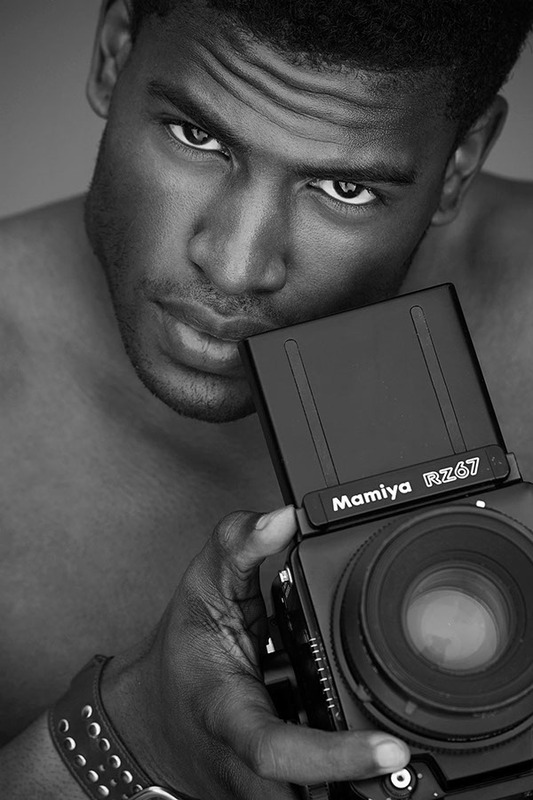 FL- What is one piece of advice you’d give to those young men wishing to gain a footing in the modeling industry? Broderick- Oh man! One piece of advice lol…there’s so many things. The best piece of advice I give is to gain a really tough skin. Be able to deal with rejection and the process of becoming bigger and better. Everything after that is cake, but the starting out process, the rejection, OMG! But if you really want to be successful in this industry you can only get past it though. FL- The popularity of such entities as IG and FB has led to an increase of faux and microwave models. What’s your perspective on this trend? Broderick- It all comes down to what you choose as your individual market. Some people are IG models. They make their money on IG, that’s great! There’s a lot of money being an IG model because of branding. That’s fine, but I feel as if people look down on it because they think “oh they don’t work hard or have industry cred.” There’s a very thin line of difference. As an IG model, because they have a lot of followers, brands want to use them as a platform to get their brands out. As a regular model, you are a fashion model. You are the cream of the crop. You are labeled an industry model. That’s your market and where you make your money. So I don’t feel people should necessarily look down on it. In my opinion, people are knowledgeable enough to distinguish between IG models and real industry models. So if everyone is calling themselves models, I think that’s great. You should just be able to hold your own and show that you are one of the best that’s out there. FL- Looking back over your career, at what moment were you most proud? At what point did you think to yourself “I’ve made it”? Broderick- Honestly, I don’t feel as if I’ve truly made it. I still wake up in the morning and I have to grind. I wake up in the morning and I still have to ask myself what can I do more? What can I do better? The moment I feel as if I’ve made it, is the moment I can sit back and relax. I still feel as if I have so much that I have to accomplish in this industry. One of my most proud moments was when I shot for Ralph Lauren. That was a dream come true for me. One of the first goals I set for myself as a professional model was to affiliate with Ralph Lauren. I’ve always looked up to Tyson Beckford and his work with Ralph Lauren, so when I got that campaign I felt as if it had come full circle. I’m getting there but I still don’t feel as if I’ve made it. FL- What is a normal day like for you on the off-season? Broderick- I love my nephew and sometimes my sister hates how much I spoil him. I’m always taking him out for ice cream or buying him shoes or spoiling him in some manner. I’m such a family guy. My off days, Im usually with him. Having fun with him. You see, I don’t get a chance to see my family and friends as much as I would like to. So when I get the chance to live a regular type of day where I can chill, not worry about what’s going on on my social media or where my next job is coming from; it’s such a blessing. A normal day for me is honestly kicking back and watching the Goofy Movie with my nephew and eating junk food. FL- What is a normal day like for you during the season? Broderick- I’m constantly on the move. I literally pack a bag with me-underwear, jeans, shirts- because sometimes it gets to the point where I’m not gonna be able to go home for a while. Yeah, it’s gets crazy like that. Where I stay at in L.A. is a bit away so I pack a bag and stay at my friend’s house. I might have to fly out somewhere the next day or I might have to do a shoot the next day. It’s so crazy that I at times have to tell me parents “I’m not gonna be able to come home for a lil bit. I gotta go do work lol”. So a work day for me is constant movement. People get pissed off because I don’t respond to text sometimes but it’s because I’m always auditioning, I’m always casting, I’m always on the move. FL- What are the top 5 misconceptions about you and other successful male models? Broderick- People think I’m cocky. People are scared to approach me and that’s unfortunate because I try to brand myself in a way where I am approachable. I am relatable. You can come up to me. People tend to be very shy. People also think I came up very easy when in fact they don’t know my background or my story. I’ve also got feedback that people think I’m a lil crazy in the mind lol. I’m like, I’m not crazy lol I’m just being me. Other misconceptions is that they think we don’t eat lol…we do in fact eat! They think we make a lot of money and although we do well, it’s the girls that bring home the major bucks. Another misconception is that they think male models are the cream of the crop of the business; but honestly it’s a lot harder for male models, especially black male models. The opportunities are growing but it’s a fluctuated business so it’s important you make your own means happen. FL- If you were not modeling, what field/occupation would you be a part of? Broderick- I would probably still be playing basketball! I did really well in basketball. I actually got a scholarship and I lost it due to an injury which is actually how I got started in modeling. I actually had my scholarship, lost it thru an injury, came back home and within a year of coming back home I got scouted by a photographer to shoot and I originally declined. I said I didn’t wanna do it, but then I took advantage of the opportunity and sure enough, the pics we produced ended up being great shots and re-blogged throughout the internet. This is how I got scouted by my manager and agencies. Sure enough, I slowly shifted away from basketball and became who I am today. So yeah, I would definitely be playing basketball right now. Basketball would be my thing. FL- What are your thoughts on Chicago as a city? Broderick- Chicago is a great city. It reminds so much of New York with the lively hood and different places you can go. The different things you can do and different people you meet. It’s an amazing city. I wish I spent more time out here, honestly. And I honestly wish it was a better market for models because I really truly feel as if it has so much to offer. I feel as if Chicago as a market can grow more because it’s a great city. I do love it! You can follow and find more on Broderick by clicking the links below. 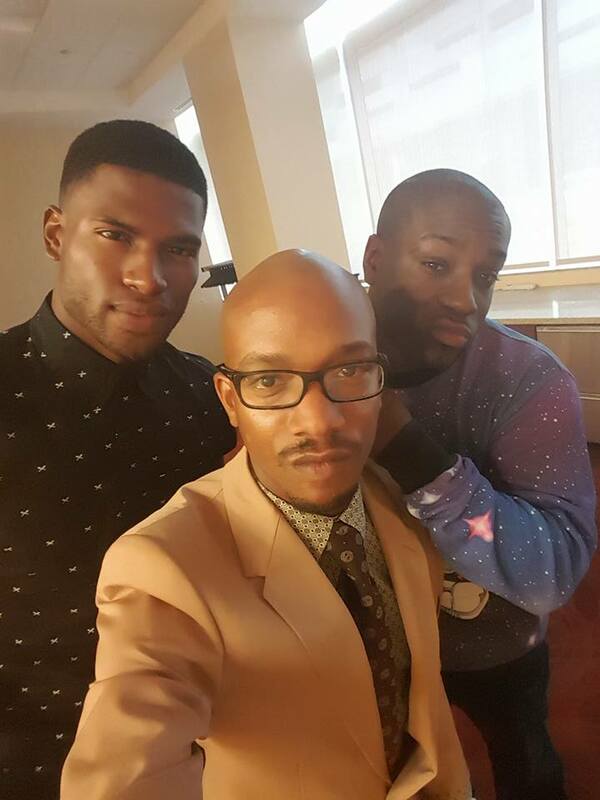 Tags: Blake Martin, Broderick Hunter, DeoVonte "Deo" Means. Bookmark the permalink.